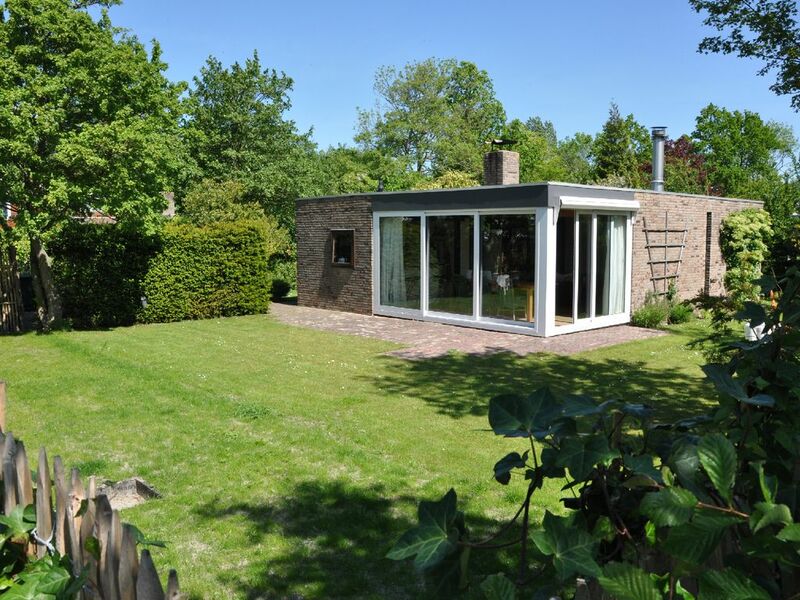 This bungalow of 90m2 is situated on 630m2 of land and has a garden around. It has a modern and luxurious kitchen, large stainless steel with 5-burner stove and oven. The spacious kitchen from the living room is separated by a bar. The living room has a large wooden table where you can easily with a large group dining. During winter nights or less balmy summer evenings you can enjoy the cozy fireplace. There are two bedrooms. In one bedroom has a double bed and the second bedroom a comfortable bunk bed, also suitable for adults. The bathroom is new and has a spacious shower, bath and sink. Also, the toilet has been renewed. The garden has sun all day, with several cozy nooks to eat, sunbathing or barbecuing. The bathroom is new, Nov. 2015, with bath shower and sink. This cottage is located behind the houses along the Veer Lake park in the Scotsman. From the street there are several places where you have to access the Veer. Boats can be here the water let in. North Beveland are several walking and cycling routes, also the foot / bike ferry to Veere just 100 meters away. Veere is right opposite the house on the other side of the Veer Lake. The beach is just 15 minutes by bike. This house is next to http: // www. home away. en / apartment / p804156 and is also suitable to rent together. This cottage is located behind the houses along the Veer Lake park in the Scotsman. From the street there are several places where you have to access the Veer. Boats can be here the water let in. North Beveland are several walking and cycling routes, also the foot / bike ferry to Veere just 100 meters away. Veere is right opposite the house on the other side of the Veer Lake. The beach is just 15 minutes by bike.